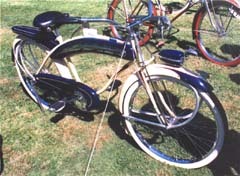 This months featured bicycle is a Shelby built Hiawatha “no-nose” Air-Flo. 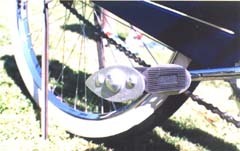 Notice the tank does not extend past the head tube like it does on the standard Airflo bicycles, yet the bike still retains all the other deluxe features. 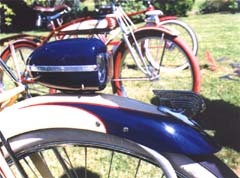 This bike was restored by Keith Dean and is one of Rich Edmonsons most prized bikes.